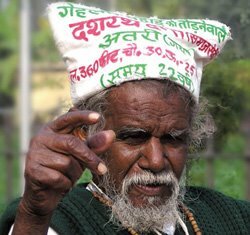 Almost five decade ago, a landless farmer Dashrath Manjhi from Gahlor Ghati, of Gaya (a district of Bihar) resolved to end the difficulties of his villagers by shouldering a near impossible task of slitting a 300-feet-high hill apart to create a one-km passage. His village would nestle in the lap of rocky hills for which villagers would often face gigantic troubles for crossing small distance between Atri and Wazirganj, the outskirts of Gaya town. He started hammering the hill in early 1959 in the memory of his wife, who could not be taken to the nearest health care center on time for the immediate treatment as the nearest road that connected them to the city was 50km long. He knew his voice will not create any reaction in the deaf ear of the government; therefore, Dashrath chose to accomplish this Herculean task alone. He sold his goats to purchase chisel, rope and a hammer. People would call him mad and eccentric spirited with no idea of his plans. Unfazed by his critics’ discouraging remarks, Dashrath hammered consistently for 22 long years to shorten the distance from 50km to 10km between Atri and Wazirganj. The day came when he stepped through a flat passage — about one-km long and 16-feet wide — to his dream, ‘the other side of the hill’. 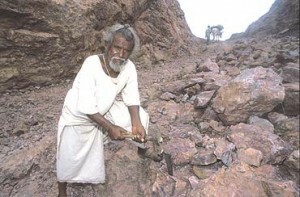 After this impossible accomplishment, Dashrath Manjhi became popular as the ‘mountain man’. On August 18, 2007, he breathed his last after fighting cancer at New Delhi’s All India Institute of Medical Sciences. He got state burial on the following Saturday evening. 1. He never got panicked by measuring the whole task at once; instead, he started keeping his tiny steps one by one, faced difficulties on its encountering and progressed while solving them one by one. There is no point thinking much about the task that looks seemingly unconquerable and impossible; nobody completes them in one step. What matters the most is your small steps through which you reach there. So focus on your task and accomplish them with great care. 2. Patience is the greatest virtue that leads us to success. Dashrath Manjhi cut through the hill for long 22 years. His patience give him the courage to overcome extreme pain, frustration, disappointments and personal loss. 3. Dream the impossible! Dashrath Manjhi dreamt of making a walkway through two arrogant and treacherous rocky hills. He planned accordingly, accomplished the task and walked his dream. He was a legend who taught us to dare to dream the impossible. If you keep working on, the near-impossible task will seem a lot easier tomorrow. 4. Attitude matters! Don’t ever blame difficulties if you crumble if front of them; it is not the difficulties but the attitude that lets you down. If Dashrath Manjhi could triumph over difficulties, it was his attitude that kept him stay focused and going. 5. Stay positive! Your positive thoughts and words initiate you to reach your destiny along with your own values. 6. 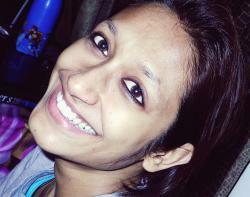 Don’t lose heart if people call you mad and crazy for you unique thoughts. The same people appreciate you, promote you and example your tale for encouragement on successfully completion of your plans. When Dashrath Manjhi began working on his plan, people called him mad and discouraged him with impossibilities, but these same people appreciated him and used the way that he created.